Gov. 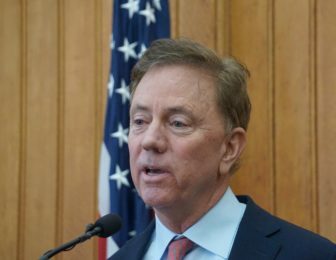 Ned Lamont is urging lawmakers not to crack open Connecticut’s piggy bank, even as its holdings approach an unprecedented $2.3 billion, which is a little like asking your toddler not to eat the cookies on the table when you leave the room. Connecticut legislatures don’t have a great track record when it comes to saving. When the state ran up $6.1 billion in budget surpluses between 2000 and 2014, according to nonpartisan analysts, two-thirds of it never even made it into the reserve before it was spent. While the Democratic governor, whose budget is due next Wednesday, could ask Republicans to guard the cookies — er, reserve — he might not need to do that. That’s because Lamont has another potential ally — the new, bipartisan spending cap adopted 15 months ago to end the longest budget standoff in modern Connecticut history. According to preliminary estimates, the capped portion of state spending can’t grow next fiscal year by more than $430 million. In other words, even if legislators want to take billions of dollars out of the piggy bank, they can’t spend it — without first dealing with the cap. “Our economy has still not fully recovered from the Great Recession more than a decade ago, and we must be prepared for the possibility of another economic downturn,” Lamont wrote earlier this week in an “open letter” to Connecticut residents. Unless Lamont and legislators make adjustments, state finances will run $1.5 billion in the red next fiscal year, and $2.0 billion in deficit in 2020-21. But those potential shortfalls are mild compared to what Connecticut likely would face in a recession, when tax revenues traditionally plummet by hundreds of millions of dollars or more in a 12-to-18-month period. When Gov. Dannel P. Malloy took office in January 2011, as Connecticut was just beginning to crawl out of the Great Recession, his first biennial budget has to close projected deficits of $3.7 billion and $3.6 billion, respectively. Just prior to that recession, in 2008, Connecticut had amassed its largest reserve ever: just under $1.4 billion or about 8 percent of operating expenses. By June 2009, the recession continued — but the entire reserve was gone. The state has $1.2 billion in its reserve now, and Comptroller Kevin P. Lembo projects another $1.1 billion could be added after this fiscal year ends. Connecticut cannot allow its swelling reserves to “lull us into a false sense of security and sap the urgency we need to confront our fiscal crisis head-on,” Lamont added in his letter, warning residents to brace for a lean budget. But progressive Democrats say there’s another side to that coin. As the state spends more and more on pension and other debt costs, it’s been draining funds from social services, health care, education and municipal aid. 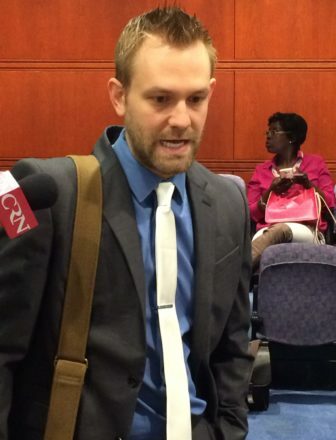 Connecticut has residents in need now, said Rep. Josh Elliott, D-Hamden. Rep. Toni Walker, D-New Haven, longtime co-chairwoman of the Appropriations Committee, has said on several occasions that Connecticut already has cut its social services programs to a dangerously thin level. And the General Assembly already has begun to flip-flop on reductions. About 23,700 working poor adults lost Medicaid coverage in 2016 when legislators tightened eligibility for the HUSKY A program. Similarly, lawmakers imposed new limits on prescription medication assistance for low-income seniors and the disabled in 2017, then restored them amidst fierce public outcries last spring — just before they took effect, and with no plan to cover the added costs next year. And a much-hailed program to share sales tax receipts with cities and towns gets mothballed in July — after just three years of grants far below promised levels. 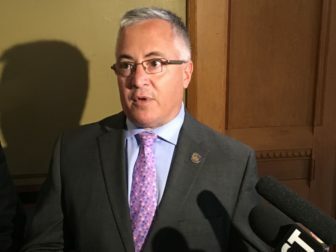 Almost immediately after last November’s elections, when Democrats gained considerable seats in both chambers, House Speaker Joe Aresimowicz, D-Berlin, said he respected Lamont’s concerns about the reserves, but that the discussion was not over. But then there’s the spending cap. And it says most segments of the state budget only should grow as fast as personal income or inflation in Connecticut. Next year that means 3 percent. Lawmakers first enacted a cap in 1991 to temper voter outrage over the new state income tax. One year later, voters overwhelmingly added the cap to the state Constitution. But adhering to the cap became increasingly difficult as contributions to long-neglected pension programs grew. After the last recession ended in 2010, legislators and governors increasingly used gimmicks to shift millions of dollars in spending outside the system. This effort peaked in 2014 when majority Democrats decided billions of dollars in pension contributions, which had been counted against the cap for 24 years, actually enjoyed the same exemption as payments on bonded debt. By the following year, then-Attorney General George Jepsen opined that the cap was unenforceable since legislators had never written the 1991 statutory cap into the Constitution — and the system fell into political limbo. Things changed in 2017 when legislators struggled for 10 months to reach agreement on a new budget. Town aid and social services were slashed by emergency cuts and lawmakers grew desperate. Republicans refused to bring votes unless Democrats embraced a new spending cap — one that restored pension contributions to the system in the 2020s. The state routinely issues bonds on Wall Street at various times each year to borrow funds for capital projects. And it pledged in its May 2018 bond covenant — a contract with investors — to abide by the cap for the next five years. The only exception to this restriction: legislatures can legally exceed the cap only with a three-fifth’s vote of approval in both chambers. That means 91 out of 151 votes in the House and 22 out of 36 in the Senate. Democrats currently hold 90 seats in the House and 20 in the Senate. And Republican leaders have made it clear they’ll oppose any effort to raid the reserves or shatter the cap.